College may not be a prerequisite for these jobs or even convey the prestige that it once did to candidates. Coupling that with today's price tag for a degree and many people are considering alternate means for entering the field. How many of us working in technology grew up with the belief that the path to success begins with a college degree? It was said so often in the 60 years between the end of World War 2 and Y2K that many young adults considered college a necessary extension of primary school. Yet there was also a payback for those that earned their degrees. According to this survey which came out in January, workers with college degrees made an astounding 56 percent more (on average) than those without. That’s down from a similar study in 2011 that put the gap higher at 84 percent. With both folklore and empirical evidence pointing to degrees being the best way to achieve the maximum financial success, why would anyone recommend avoiding college? In the world of technology the rules change at the speed of light. Most of us know enough about project management to agree that we’d never start work without at least a set of requirements and an ROI calculation. Why would these same rules not apply to career decisions? Start by taking a look at the jobs in IT being listed by employers today. By closely reviewing the requirements of the positions posted by many premier employers one can see a definite trend of preference towards domain-specific knowledge over formal education. 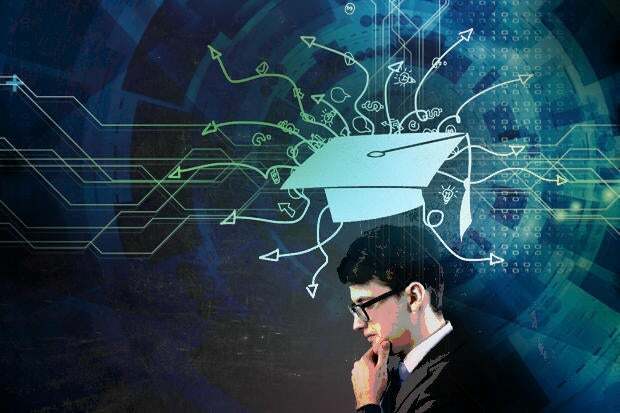 In other words, employers are specifically emphasizing their desire for skills that show the ability to get the job done over the need for formal education. From a practical perspective, when a hiring manager needs to find a person who can successfully migrate an internal data center into an Amazon cloud environment, an insightful candidate will focus attention on how she will do that (and has done it in the past). A candidate with a prestigious Ivy League degree may get an interview but without demonstrated practical experience he will be viewed as an inferior candidate. The cost of a four year undergraduate college degree today in the United States will range from $80,000 to as much as $300,000. That huge investment should yield a big return in order to justify the effort and expense. Applying the simple concept of a payback period, an average graduate is looking at 15 to 25 years of payments to cancel the debt. According to statistics that came out at the end of 2016, 40 percent of young adults in the United States today still live with their parents. Well over 75 million millennials are struggling with student loan debt. In many ways the influx of H1-B workers over the years has eroded the value of formal degrees in the IT field. Most workers from places like India have one, if not multiple, college diplomas. But for several reasons, American HR teams have found it difficult to verify foreign education. Consequently, IT managers have migrated towards using direct observational criteria in determining the contributions and relative value of all employees. The level and quality of education earned by tech workers has an effect on career progression, especially on the management track. Yet with the average tenure of an employee in this field hovering at just under three years (the lowest of any professional discipline), there is little time for credentials to have much of an impact. For most of the history of humankind a college education was reserved only for the select few who had the social standing and means to attend. To learn a craft, young adults would apprentice themselves to a master. In exchange for room and board the apprentice would learn a skill firsthand through direct observation of the master in action. After years of learning the apprentice would set out to create his or her own business armed with the knowledge and skills necessary to operate an independent business. Certain companies are enjoying a renaissance of sorts by returning to a modern day version of an old practice. ArmgaSys, Inc. is a software development company that emerged in 2010 to serve customers across a diverse mix of sectors in defense, construction, and agriculture. In a little over six years the company has grown from just a few people to over 40 employees with a target of 25 percent workforce growth by the end of 2018. Its founder and president, Dave Armga, attributes much of this success and growth to the excellence of his employees. When asked how he created such a powerful workforce in such short order he offers up a surprising explanation. Although having personally earned a post-graduate degree, Armga reflects that employees are not getting the skills his customers need from university degree programs. Instead, his people learn through a combination of direct exposure to current projects, self-directed learning, and nurturing from ArmgaSys through its “Hatch” internships, which are quite similar in nature to apprenticeships. Armga appreciates the well-rounded cognitive skills that universities teach but when it comes to educating employees he much prefers to build his own. He described to me a process whereby he partners with local high schools and regional vocational programs. By working directly with the teachers and professors, Armga identifies obscure but high-potential individuals. He pulls them directly into ArmgaSys through several curated programs and mints his own future workforce through a process of direct engagement with active projects. Although ArmgaSys is primarily a software development shop it is also a talent incubator. The company realizes that its value and future relevance to customers will come from the quality of its products, not from the pedigrees of its workforce. Most of these individuals are household names and, more importantly, worth at least a billion dollars. But what is most significant is that not a single person on this list graduated from college. While their respective companies may set lofty requirements for future employees, none of these people needed a degree to become fantastically successful by any meaningful standard. As an exercise in enrichment few can disparage the value of a college degree. But when looking at the financial return that investment will bring to a career in technology, a prudent person would be well served to think twice.